A nondescript door in Roxy’s Grilled Cheese serves as a portal to your wildest retro fantasies. 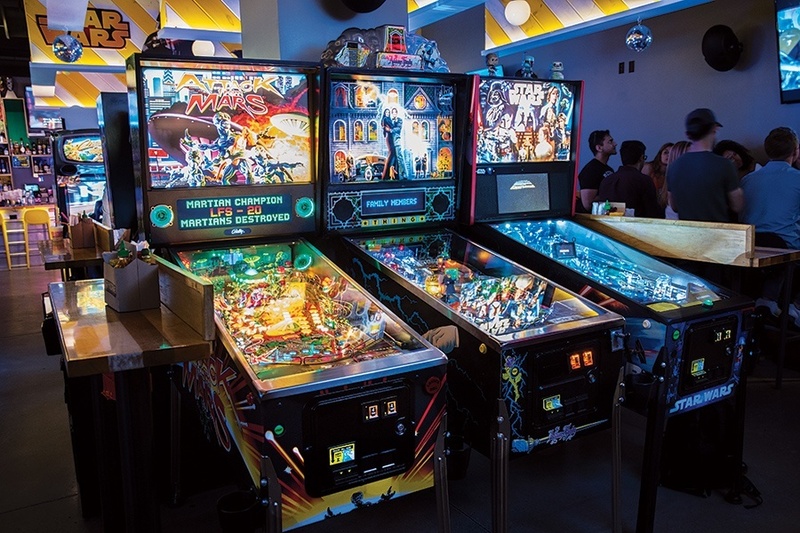 Pinball and Pac-Man await your high scores, and Technicolor tipples are poured into vessels shaped like Simba and R2D2. In other words, this joint puts the joy in joystick.